Liana Marie went to prom on Saturday night. I had no idea she was headed to prom, but I saw a photo of her Sunday morning looking quite lovely with a date I now know as Slade. 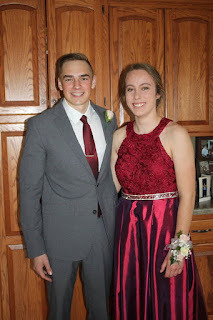 Kind of interesting that I had a dream Saturday night with Liana in her prom dress (not the one I saw in her 2017 photo, but in a prom dress none the less. Kind of cool!